After forging past its benchmark value of 100 in March, April’s Pending Home Sales Index dropped back to 95.5, its lowest reading of the year. 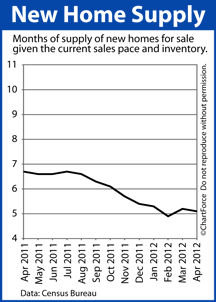 The data suggests fewer home resales throughout New Jersey and nationwide in the months ahead. 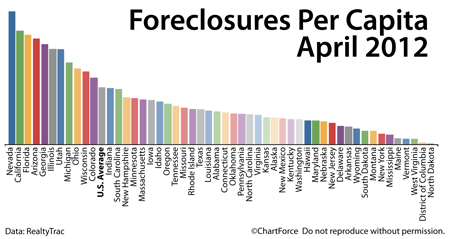 Foreclosures filings fell 5 percent between March and April of this year, and by 11 percent as compared to one year ago. The data comes from RealtyTrac. The foreclosure-tracking firm tallied fewer than 189,000 foreclosure-related actions last month — the fewest number since July 2007. According to RealtyTrac’s methodology, a “foreclosure filing” is any one of the following foreclosure-related events : (1) A default notice on a home; (2) A scheduled auction for a home; or, (3) A bank repossession of a home. Furthermore, April’s bank repossessions figure is notable. With just 51,415 homes reclaimed by banks, last month’s total represents a 26 percent drop from April 2011, and is the 18th consecutive month during which bank repossessions fell. This figure suggests that banks are seeking alternatives to foreclosure, including loan modifications and short sales, when appropriate. Indeed, the National Association of REALTORS® reports that 11 percent of April’s home resales were short sales. Whether you’re a first-time home buyer or an experienced one, homes in various stages of foreclosure can be alluring. They’re readily available and often come cheap as compared to non-distressed properties. However, make sure to look beyond just the “list price”. Foreclosed homes are often sold as-is. This means that the property could be run-down or rife with defects that render it uninhabitable and/or un-lendable. If you plan to buy a foreclosed property in Bronx , therefore, engage an experienced real estate professional. You can learn a lot about how foreclosures work by doing research on the internet, but when it comes to writing contracts and checking homes for defects, you’ll want an experienced agent on your side. Memorial Day marks the unofficial start of summer and, in many parts of the country, weekend weather was indistinguishable from what one might expect in August. Temperatures climbed into the 90s throughout the Southwest, South Central, Midwest and Southeast and even crossed 100 degrees in parts of Kansas. For homeowners with ceiling fans, the change of season offers a timely reminder to change the direction in which ceiling fan blades rotate. Properly-rotating ceiling fan blades not only cool your home more efficiently, but can lower your energy bill, too. 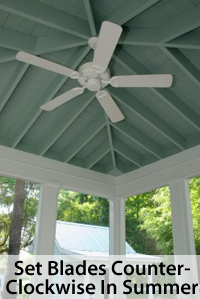 Ceiling fans are meant to amplify your home’s natural heating and cooling systems. Using the equivalent energy of a 100-watt light bulb, on a cool day, a ceiling fan will recirculate warmer air, making a room feel up to 6 degrees warmer. On a warm day, a ceiling fan can reduce a room’s effective temperature by 4 degrees. It accomplishes this by pushing colder air back into a room, creating a “windchill effect” on the skin. This is a far more economical way to regulate temperature as compared setting a home thermostat up or down by 4 degrees. The key is to have the ceiling fan blades running in the proper direction. For additional cost savings with a ceiling fan, remember to turn it off when you’re not in the room. Ceiling fans don’t cool the air; neither do they warm it. Rather, ceiling fans move air which gives the sensation of a room being cooler or warmer. With nobody in the room, there’s no need to run the fan. If your home is without ceiling fans, and you’d like to install one or many, the process is inexpensive and easy. There are videos online which walk you through the steps, or you can call a qualified electrician. Need an electricians name? 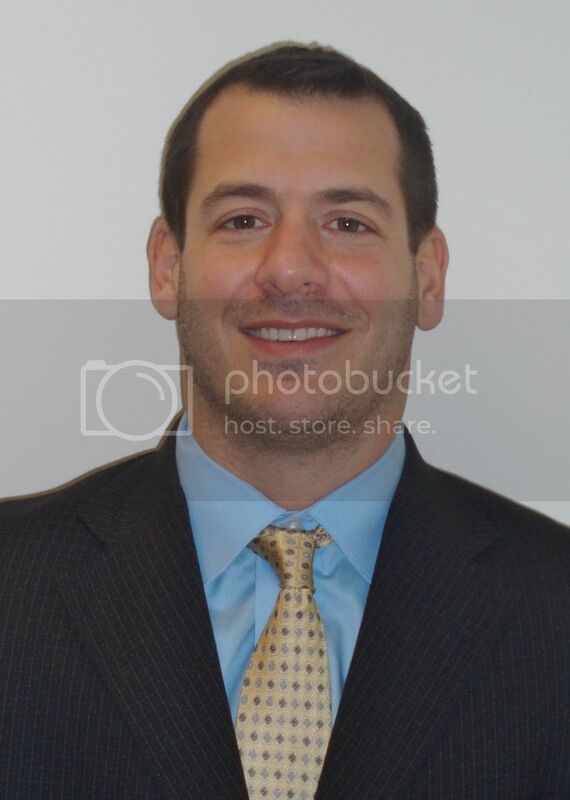 Call or email me — I’m happy to offer a referral in Bronx. The April New Home Sales report suggests that the market for newly-built homes is as strong as the market for existing ones. According to the U.S. Census Bureau, the number of new homes sold rose 3.3 percent in April to a seasonally-adjusted, annualized 343,000 units sold — its second-highest reading since April 2010. April 2010 marked the last month of that year’s federal home buyer tax credit program. April’s New Home Sales data also marks the 7th of eight consecutive months during which the number of new homes sold climbed nationwide, a streak unequaled in recent history. During this period, the supply of new homes for sale has dropped 13%. 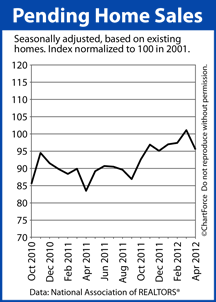 The complete new home inventory is down to 146,000 homes nationwide. At the current pace of sales, home buyers in Manhantten and across the county would exhaust the complete supply of newly-built homes in 5.1 months. This, too, is a significant figure. When home supplies fall below 6 months of inventory, it’s widely believed to indicate a “seller’s market” and there hasn’t been more than 6 months of a new home supply since October 2011. This has placed upward pressure on new home prices and helps to explain why the average home sale price is up 9% from just 6 months ago. Homes are selling, and they’re rising in price — a trend that today’s buyers should expect to continue through the summer and fall months. Record-low mortgage rates have moved home affordability to an all-time high with home builders now reporting the highest levels of buyer foot traffic at any time since 2007. As builder confidence grows, buyers can expect to find fewer “great deals” — especially as demand for homes outpaces supply. If you’re a home buyer in search of new construction, therefore, the best new construction “deals” of 2012 may be the ones you find today. By 2013, the deals may be gone. For buyers and sellers in Westchester , the April Existing Home Sales report supports the notion that the housing market may be improving; that the “bottom” occurred sometime in late-2011. Home values have been rising in many U.S. markets and home builders now report the highest levels of foot traffic through models since 2007. 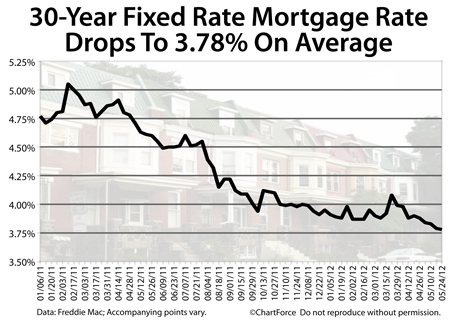 Falling mortgage rates and stagnant home prices are making a positive effect on home affordability nationwide. Never before in recorded history have so many homes been affordable to households earning a moderate annual income. Last week, the National Association of Home Builders reported the Home Opportunity Index at 77.5 — its highest reading of all-time. The index indicates that more than 3 of every 4 homes sold last quarter were affordable to households earning the national median income of $65,000. Last quarter marks the 12th straight quarter — dating back to 2009 — in which the index surpassed 70. Prior to this run, the index had never crossed 70 even once. 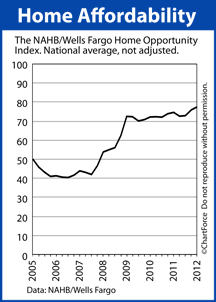 That said, like most real estate statistics, the Home Affordability Index has a national purview. National data is of little value to homeowners in specific cities such as Manhantten , or in specific neighborhoods such as Valley Stream. Last quarter, home affordability varied by region. In the Midwest, for example, affordability was highest. 7 of the top 10 most affordable markets nationwide were spread throughout Ohio, Michigan, Illinois and Indiana. The top two spots, however, went to an East Region town (Cumberland) and a Pacific Northwest Region city (Fairbanks, Alaska), respectively. At #17, the Lakeland/Winter Haven, Florida area was the top-ranked South Region city last quarter. By contrast, the Northeast Region and Southern California ranked among the least affordable housing markets — again. Led by the New York-White Plains, NY-Wayne, NJ area, 8 of the 10 least affordable areas were in the Mid-Atlantic and California, and for the 16th consecutive quarter the New York metro area was ranked “Least Affordable”. Just 31.5 percent of homes were affordable to households earning the area median income there, up from 25.2 percent six months ago.